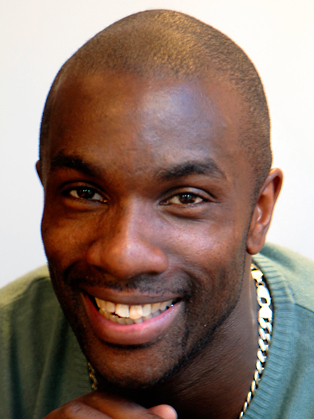 Derek Redmond is one of the world’s most inspirational athletes turned motivational speakers. It all began at the tender age of seven when he joined Milton Keynes Athletics Club. A youngster with an interest and talent for running, he soon rose in prominence, becoming county champion and 400m sprint record holder. By the late 1980s and early 90s he had established himself as one of Britain’s leading athletic stars, winning a host of 400m individual and relay gold medals for Great Britain at World, Commonwealth, European and British levels. Yet it was his now iconic moment at the 1992 Olympic Games in Barcelona which sealed his place in the history books forever. A favorite for the gold, Redmond was just 150metres into the 400m Semi-Final when his hamstring snapped and he fell to the ground. Staggering to his feet through the excruciating pain he knew it was all over, but he was determined to finish the race. He began to hobble on in agony while his father, Jim, broke through security and ran onto the track to help him complete the final 250 meters to the finish line. The emotional and inspirational footage continues to be seen the world over some 21 years on, and was featured in a TV commercial for Visa Go World, the official sponsors of the 2008 Olympics. Derek was even mentioned by US president Barack Obama during his speech about the Olympic spirit. His athletic career may now be in the past, but the pride, passion and sheer determination of a man who refused to give up on a race he knew he had already lost have made him one of the world’s most popular and most sought-after public and motivational speakers. Since retiring from athletics, Derek has played basketball for England and professionally for the Birmingham Bullets and has played competitive rugby union for Coventry RFC and Stow RFC. He is also a respected coach and advisor for international athletes. His sporting career has not come to an end, Derek now races motorcycles for his own team RG Moto and after taking up Kickboxing in July 2013 Derek became National Kickboxing champion in October 2013 at the tender age of 48 beating fighters half his age. Redmond is also now a popular and respected TV personality, who has worked as a commentator for Eurosport, presented his own prime time TV show and appeared in numerous TV shows, most recently a Come Dine With Me Olympic Special and Winter Wipeout.